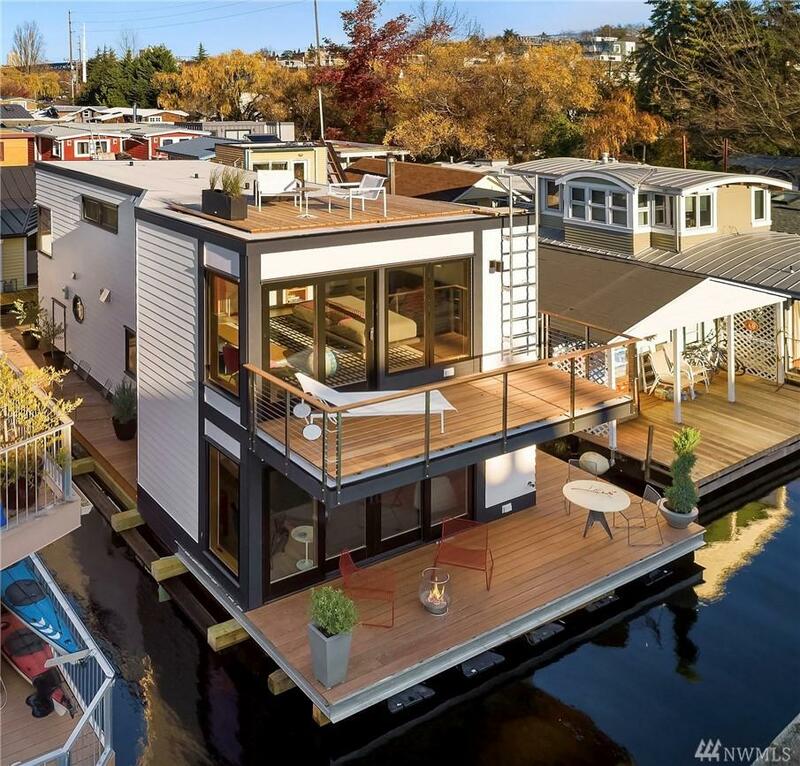 Spectacular newly built floating home is the essence of sophisticated waterfront living. 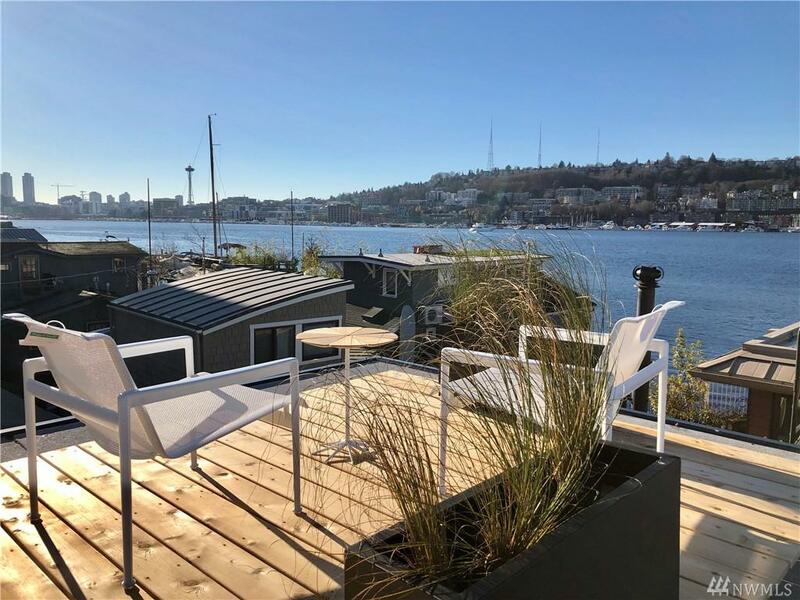 SW exposure, roof top deck, enjoy panoramic views from S. Lake Union to Gas Works Park. Wrap around ironwood deck with out-door shower. 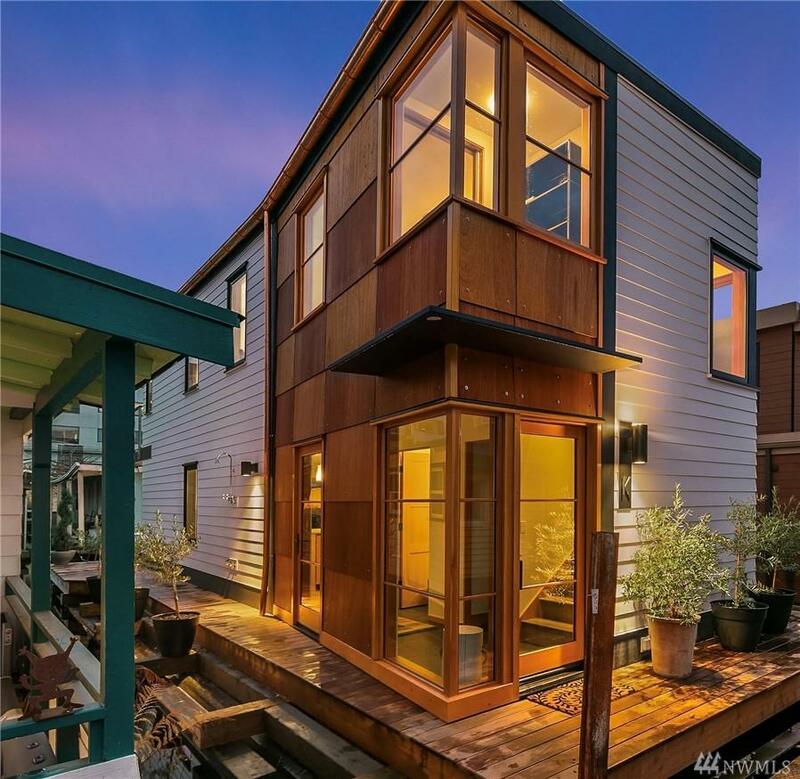 Stunning modern open floor plan with custom details from lighting, fir cabinets and sliding doors to slate entryway. 2 Bedroom, 1.75 bath and office. Generous master bedroom with large deck. Fisher & Paykel range, Caesarstone countertops and more. 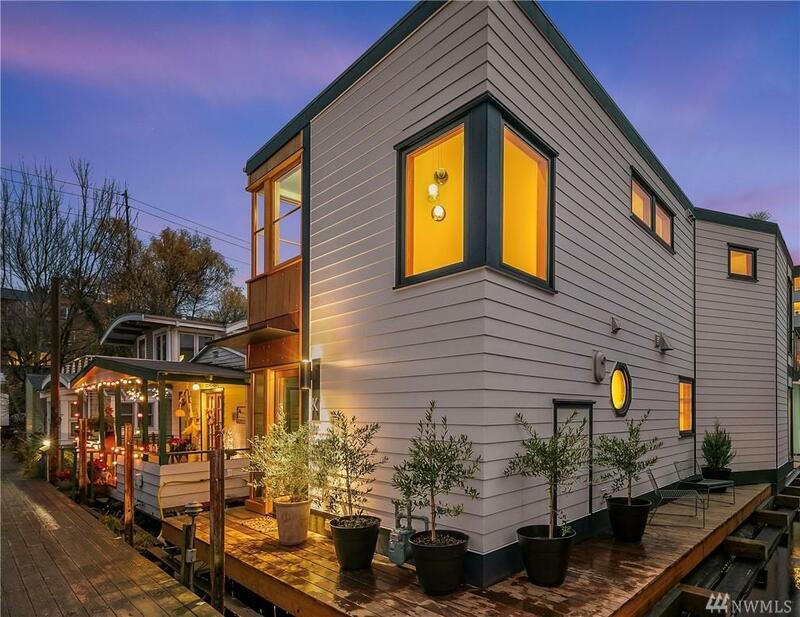 Radiant heat throughout.